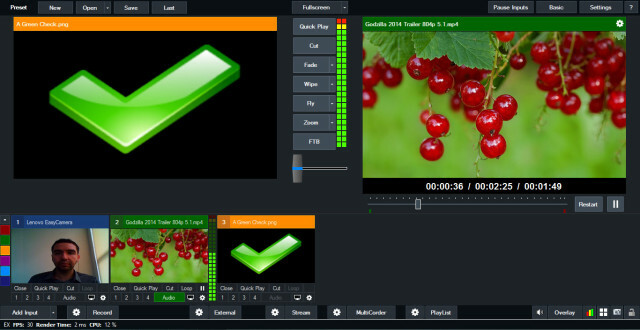 VMix offers a variety of different products that all center on video production. This guide includes both hardware and software products available. We based this guide on the encoder for Windows (only), which is called the vMix Live Production Software. Please note that we are using version 21 of the software. To download vMix (free version available) and for more information on what’s new with vMix 21, click here. vMix offers a powerful encoder with many options. It’s particularly efficient at streaming with a lower consumption of CPU power. This capability is noteworthy, as many encoders often monopolize available resources when you use them on a laptop or a desktop. Note that it is possible to do multi destinations streaming with vMix up to 3 destinations at the same time. First, launch the vMix program. 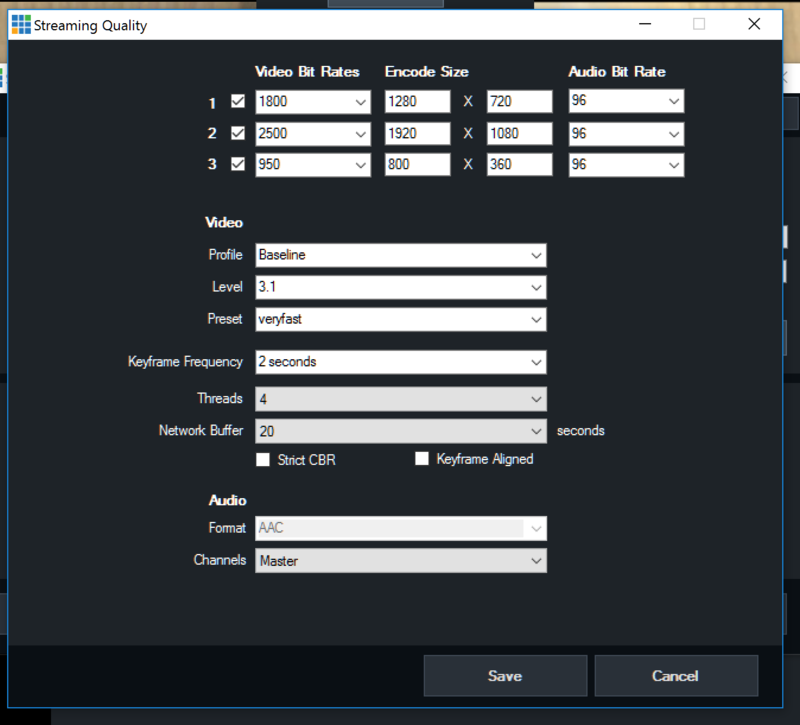 Before you configure stream settings, you first need to add an input. Depending on your broadcasting needs, an input can include a camera, a video file, or even a still image. Most users will want to select Camera. However, there are many rich options from which to choose. In terms of using the camera, your computer should automatically detect any compatible camera (or camera with capture card combo). It will then present these options in the drop-down menu. In this case, the encoder tells you to use 640×480 as the maximum resolution. At that point, you can make that change in the RESOLUTION SETTINGS and then click OK.
From here, return to the main layout. You can click to add more inputs at this time (if needed). vMix is setup in a way that makes it easy to change sources. For example, broadcasters can quickly transition from live streaming to previously recorded video. It is important to note the placement (shown above) at this point in the process. The left side works as a “staging environment.” The right shows what’s currently broadcasting. There is also a switch, located below Zoom and FTB and between the two areas. This feature allows you to switch between these areas. For example, want to switch to the Green Check above? Click the switch to do so. In addition, above the green check you will see alternate transition options. You can access these options to employ a specific effect in your transition. Once you have set up your input, you need to configure your stream. This will establish your eventual destination, in this case streaming live content via the internet. To do this, first click the gear icon found to the left of the word STREAM and located at the bottom of the layout (shown below). At this point, you will see the STREAMING SETTINGS window (shown below). There are several ways to proceed from here. However, you do need to first click the DESTINATION drop-down selection (shown below). 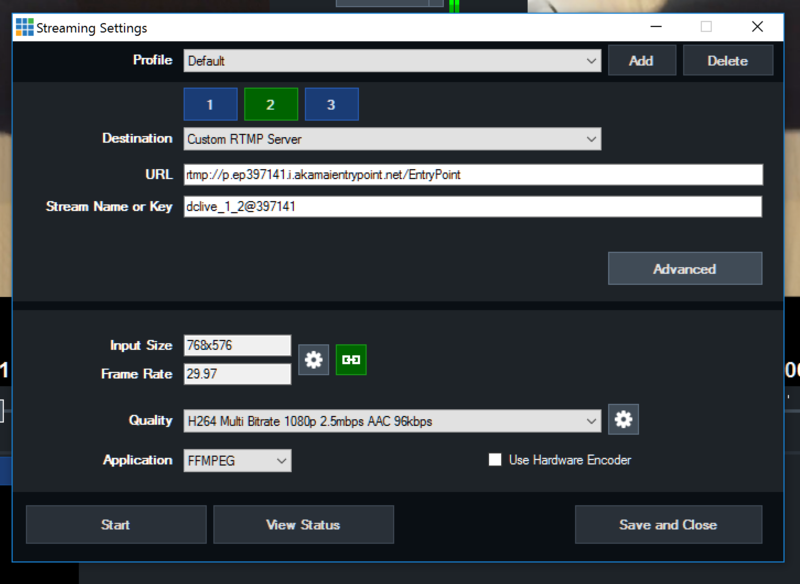 There are two possible options at this point: the DaCast option and the Custom RTMP Server. We’ve broken this process into steps required inside your DaCast account. We also include those steps required within the vMix encoder. At this point, create a live channel (if you have not already). Complete all steps up to the ENCODER SETUP. Make sure to remember the name of your live channel. From the drop-down menu for DESTINATION, click DaCast. Enter your credentials and then click LOGIN AND UPDATE CHANNELS. NOTE: In case of error in this step, return to your DaCast account and reset the password (under Account => Personal Profile). This generally resolves any connection issue you may experience. Your channel list will now populate. Select this area and choose the live channel to which you want to broadcast. You’ve now configured the channel to stream to your DaCast channel! Before you will begin, however, you’ll likely want to edit your quality settings. The default quality setting, before doing your first broadcast, is 1500 kbps. This may be too high depending on your upload speed. Not sure what your upload speed is? We recommend doing an upload speed test at Testmy.net. You generally don’t want to exceed 50% of your upload speed for the bitrate you choose. For example, if your upload speed is 2 MB per second, 1 MB per second is a good range of bitrate quality. Be considerate of your viewers too. You don’t want to exceed 950 kbps in many scenarios unless you offer multi-bitrates. Otherwise, your viewers will slower connection speeds will experience buffering. NOTE: to offer multi-bitrates, you need to use the “Custom RTMP Server” method mentioned above (instead of the DaCast one). To edit the quality of your steam, click the gear icon to the right of QUALITY. 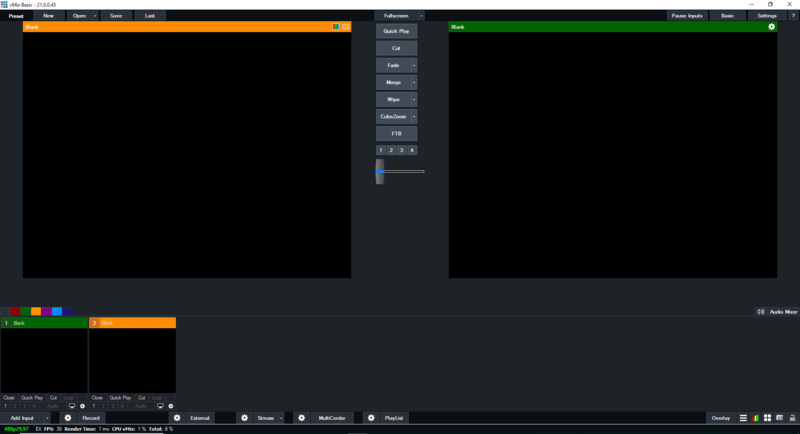 This will launch a new screen where you can edit the bitrates for your stream. NOTE: for the DaCast option you need to stick to a single bitrate. Also note that your profile should be Baseline and the keyframe frequency should be 2. This is generally the default setting. Once you are satisfied with your settings, you can click SAVE AND CLOSE or START (if you want to begin streaming). To preview your stream, return to the DaCast backend and click on Preview. To test your stream in a browser, you can also copy-paste the Facebook or Twitter code in your search bar. Note that it can take up to 50 seconds to come up online. If you prefer to use the manual method, you can select Custom RTMP Server from the Destination drop-down. We’ve broken this process into the steps required within your DaCast account, and those steps required within vMix. Make sure to write down the Login and Password for your stream. Be prepared to copy-paste the Stream URL and Stream Names in the next step. From the drop-down menu for DESTINATION, click Custom RTMP Server. 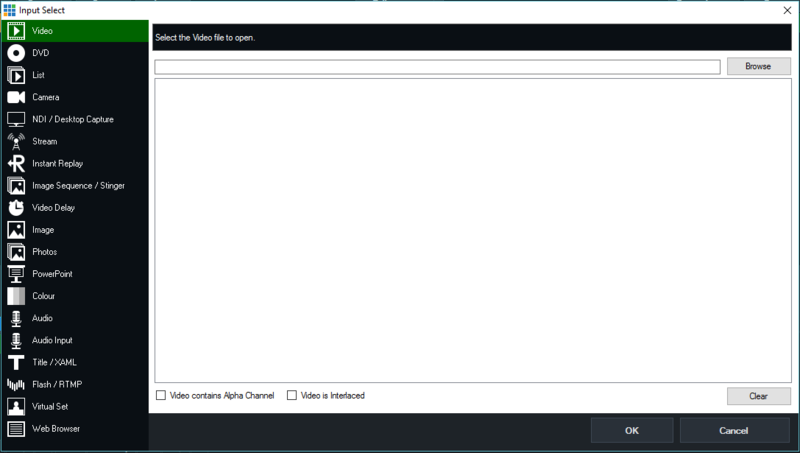 First, you need to copy-paste the Stream URL into the URL field. 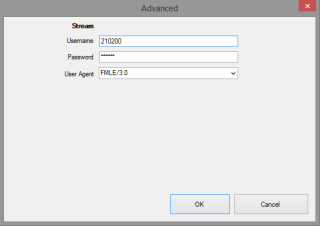 Next, copy-paste the Stream Name into the “Stream Name or Key” field. Now click ADVANCED. This will provide a screen where you can enter a username and password. These will be the login and password that you wrote down during the ENCODER SETUP step within your DaCast account. (Each will be a series of six digits.) Enter these credentials and then click OK.
You’ve now configured the channel to stream to your DaCast channel! As mentioned above during the DaCast destination method, you may want to change the quality setting. The default here is 1500 kbps. You should choose a setting best suited for your own upload speed and intended audience. Remember, you don’t want to exceed 50% of your upload speed. 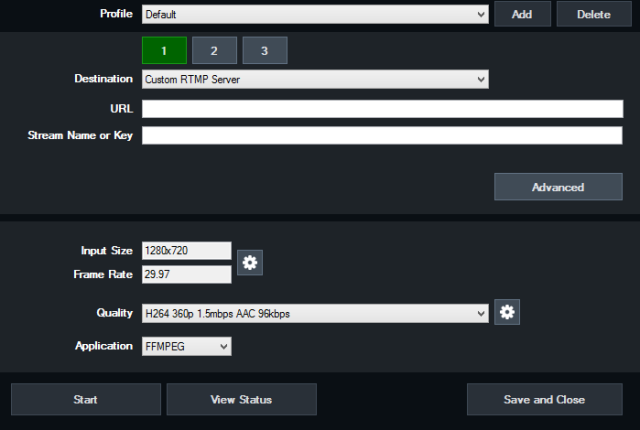 If you want to do multi-bitrate, Custom RTMP Server provides the opportunity to do this. First, notice the numbers above the destination area, denoted as 1, 2 and 3. Enter in the details like you normally would at this point. The change will take effect during the stream name part. For each, you will want to configure a unique number in the stream. It’s always dclive_1_X, with X changing based on which bitrate you are configuring. Make sure the keyframe Frequency is equal to 2 seconds. Once you are satisfied, you can click SAVE AND CLOSE or click STREAM if you want to begin streaming. To preview your stream, return to the DaCast online video platform backend and click on PREVIEW. To test your stream in a browser, you can copy-paste the Facebook or Twitter code in your search bar. Note that it can take up to 50 seconds to come up online. 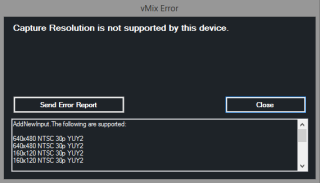 Note: If you receive an error message when trying to open the vMix recording settings, please click here.